Lovely top:) very casual but chic outfit to explore Greece. 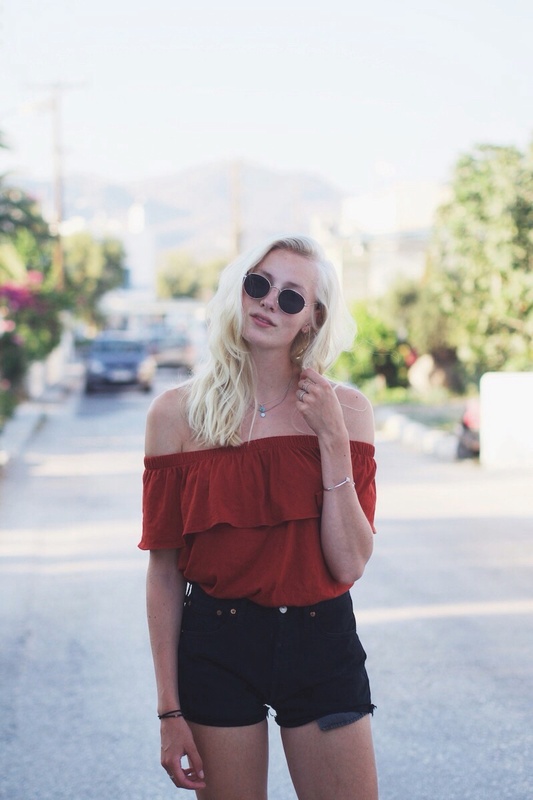 Wat staat die off-shoulder top je goed! Oh, this top is wonderful, I love off-shoulder tops and the colour is beautiful! Can't find it at Zara, is it new or old?